Dresses look great on the runway, but they look even better on real brides! 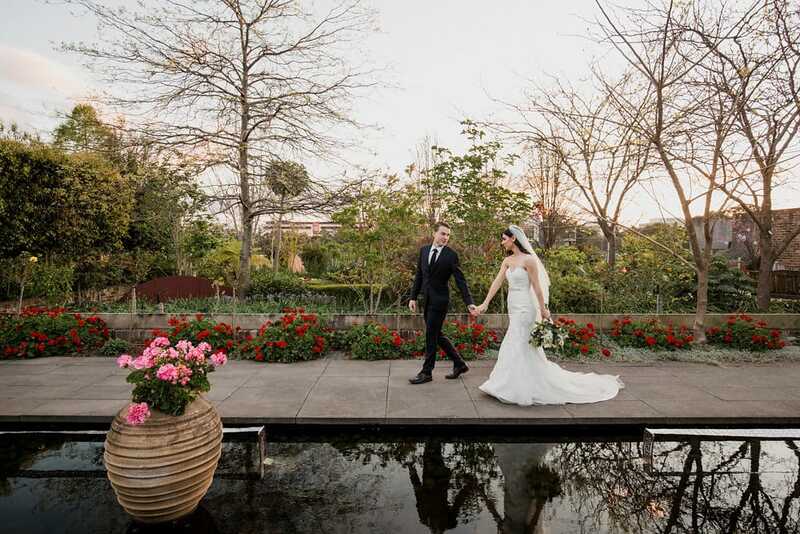 Today, we’re fortunate enough to feature this gorgeous outdoor wedding from our Maggie Bride, Dorena, wearing our Divina gown. 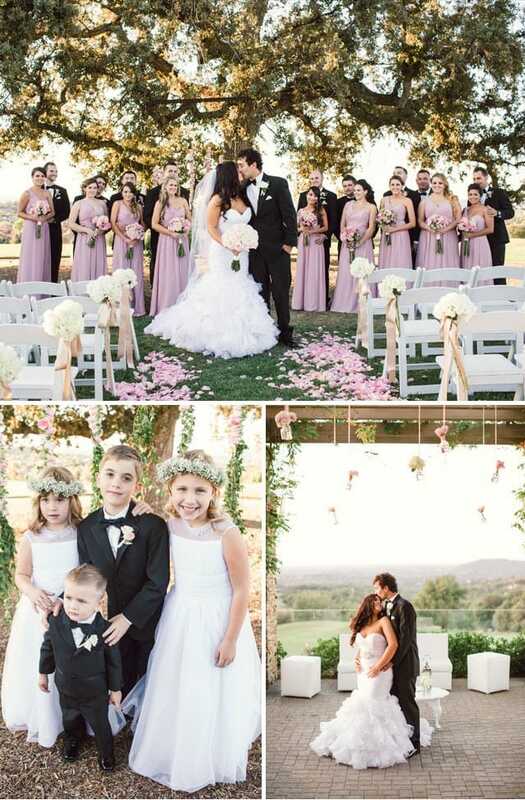 Shown on the runway in our blush colorway, Dorena chose the ivory colorway to complement her olive skin and dark hair. 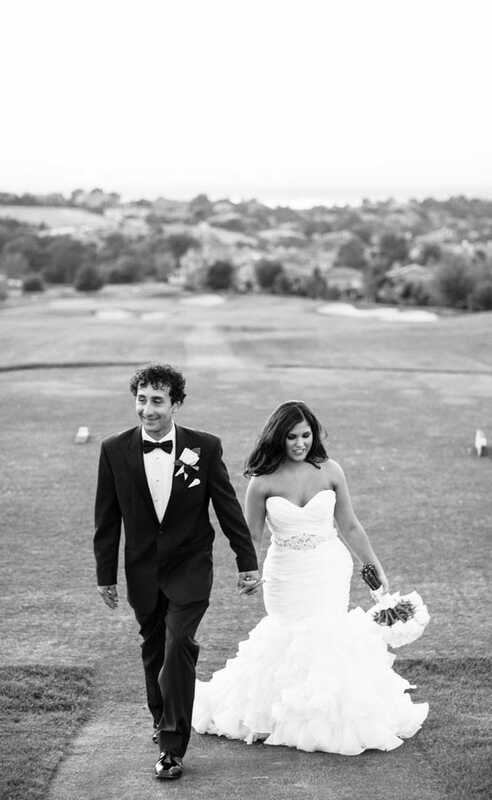 For Dorena, her dream wedding started with the perfect dress. “I knew the dress was the one for me as soon as I put it on,” she said. “There really was no other dress comparable to it. It fit me right, I loved the ruffles, and of course… the rhinestones around my waist. 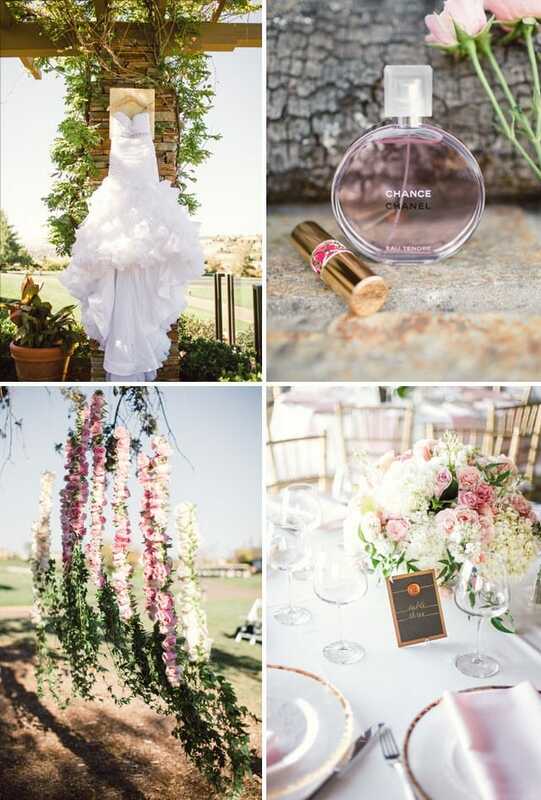 It was simply perfect!” Dorena picked shades of blush, gold, silver and peach to accent her stunning outdoor wedding, held at a golf-course club in the hills of Sacrament, California with beautiful views. 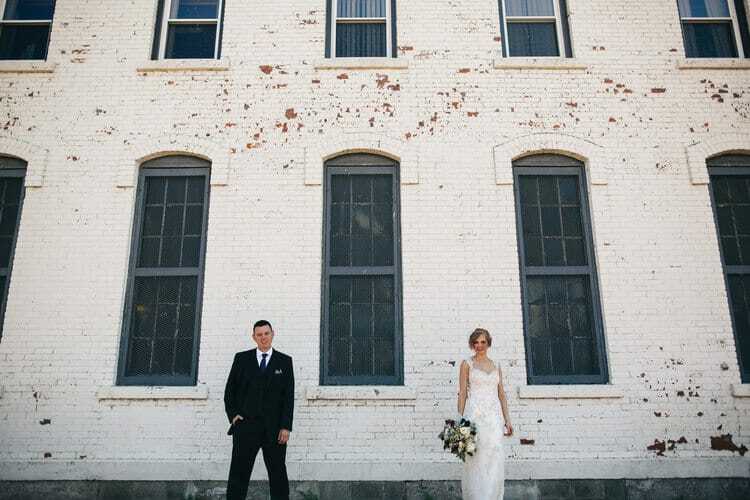 “I started with the venue and went from there,” she said. 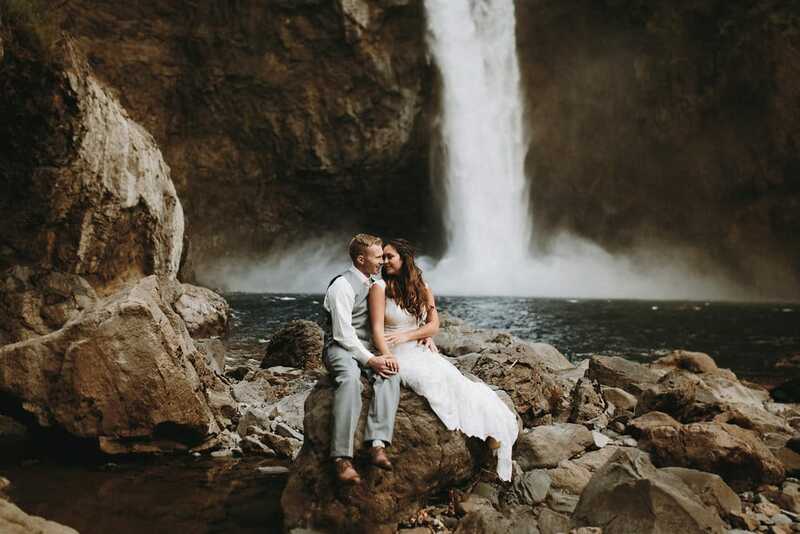 “I wanted every idea to go along with the setting of the place.” We’re absolutely swooning over this stunning wedding… see more photos below!